Kanom khao mao thort - or young green rice and coconut fritters. These green rice and coconut fritters are new on the menu and it's a dish we've been excited about cooking for quite some time. 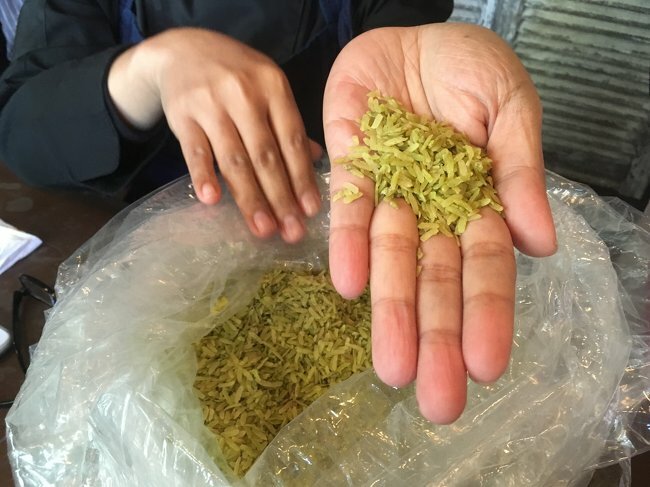 The key ingredient is the young green rice harvested so young that you can almost eat it raw, in Thai it's called khao mao. It's a very special ingredient - only available for a short period in the year in Thailand and almost never seen in the UK. To make our khao mao thort dessert we first cook the young rice into a kind of pudding - with fresh coconut cream, shredded coconut, pandanus leaf and palm sugar, before cooling it down. To order we roll the mix into balls, dust them with rice flour and deep fry them until golden. The outside of these fritters are crisp, the inside remains deliciously gooey and moist. 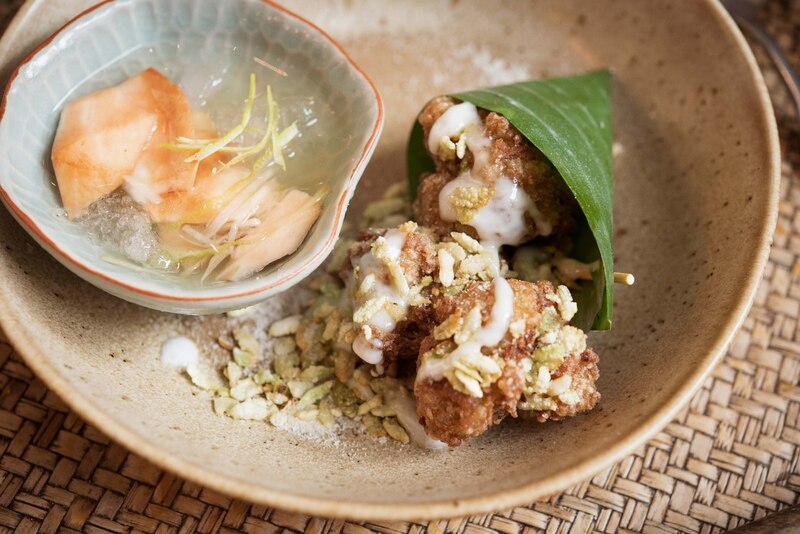 For each dessert we plate three of these fritters up drizzled with thick coconut, sprinkled with toasted crispy rice flakes and finished with a light dusting of jasmine infused sugar. In addition alongside we serve a small bowl of iced santol fruit in perfumed syrup - a refreshing contrast to the hot crispy fritters. Because of the highly seasonal nature of the khao mao rice we've only a limited supply, so once we've sold it all there'll be no more until the rice harvest next year. It's currently on the dessert menu lunch and dinner, until it runs out! Get it while you can!